The biggest gastronomic event in Belgium is back from 2 to 11 October for its 12th edition. 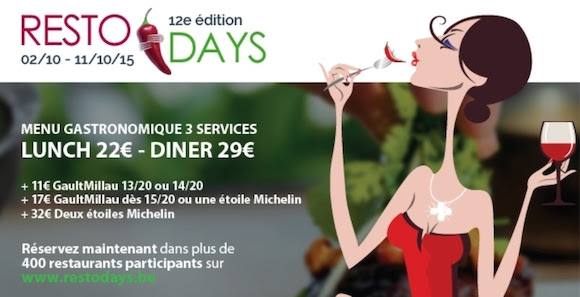 For 10 days, over 400 restaurants, including a Michelin-starred thirty and a hundred obtaining and 13/20 in the Gault & Millau will offer food lovers a 3 course menu at a price more it is accessible. The appointment must now gourmets also obtains to a new website.